If there's anything I never get bored of, it's a story. 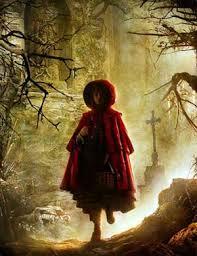 You know how much I love books, but this love was cultivated because of my love for stories. Or maybe vice versa, I don't know, because I am still not too much into movies. I am interested, but in those guaranteed to make me cry, the emotional ones. I find the written ones more satisfying, more solid, more permanent. Stories have led me to believe in worlds different than mine, even when I was a kid. I was curious, always wanting to know 'what happened?' which only fueled the thirst for more stories. Why did Ariel have such a strict father? Why was Cinderella treated badly? What happened to the golden stallion who left the castle? Why do people die? And when they do, where do they go? How long is 'never'? Can you get anything you want? Why do people love their cars so much? What's all this about money? Why does an impulsive person behave like that? There have always been questions, questions and questions and you know how there's no one to answer those, so when you read/hear stories that seem to answer some of the quirky questions, how can you not be fascinated? Of course I needed to know. All my life I've lived in stories and I don't see it as anything wrong. Some have expressed their concerns, and I understand your worries, but you needn't. I'm as much "practical" as I'm a dreamer and you may not see it. I'm not perfect. I don't feel one particular way for most things. It's not an either this or that for me. I would say something, but I'd believe in the opposite too. Except when it's immoral or unethical or just a sin, I believe each point of view is right. Many of us are the kind who are strongly opinionated and I sort of feel sorry for them, because they're missing the whole point. When you read stories, you understand reasons. Why is Ariel's father strict? Because he's seen the bad side of humans and doesn't want his precious daughter to suffer. Why was Cinderella treated badly? Because of jealousy. Why do impulsive people behave the way they do? Because maybe, once their inaction caused a 'catastrophe' and since then they try to act, all the time. They're clouded with this sense of dread, the need to "do something". See? If it weren't for stories, how else would you know? Those aren't even unreal, by the way. Every story has a meaning behind it, a thought, a life experience, an understanding, a lesson, a mistake. If it's fantasy, it's like attaching meanings to things that supposedly, don't exist, in a form of personification or symbolization. Like in dreams. It's all real somewhere and you better believe it. See it as a mystery. When you read enough or read carefully, you see how it all 'connects'. Be it the Baader-Meinhof phenomenon, or the way how some words connect you to stories. For example, whenever I come across "swan", I can link it back to The Ugly Duckling, when I read/hear the word "gazelle", I remember The Gazelle Boy, a story about a boy raised by gazelles in some mountain place, read in an English class in school and I really liked it. Similarly, "Frankfurt" takes me to Heidi, "Vienna" to The Star of Kazan, "Princess" to Mia Thermopolis in The Princess Diaries, "dreams" to The Leap and so on. I love this connected-ness. It's like everything has an origin, nothing is aloof, everything has its own place, its own home. I like this sense of security. 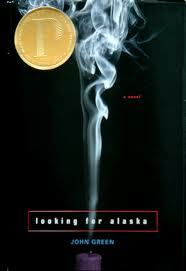 I started reading Looking for Alaska by John Green yesterday. I put it down this afternoon, right after some crazily catastrophic scene that made me hyperventilate. Or feel an intense emotion which I can't understand. I'll pick it up for the rest, later. That book is so different from any other that I've read. I knew it would be good, because this same author's other book was profound and lovely too. I don't even want to start with the awesome reviews. I was however, very much confused because I was not liking one of the main characters. I thought, 'God! This is one spoilt brat. How can anyone be like this?' I also disapproved of those kids' behavior. The book even then, has a certain pull to it. However those kids might be, they're smart. And I love smart kids. As you read along, you understand so many things on your own. The book doesn't even need words to make you understand. You figure out things on your own, you get to know why Alaska Young was the way she was, what everything means. And it's philosophical, too, like The Fault in Our Stars. I was reading both these on my Kindle, but just ordered paperback copies for both! “When you're walking home at night, do you even get creeped out and even though it's silly and embarrassing you just want to run home?" It seemed too secret and personal to admit to virtual stranger, but I told her, "Yeah, totally." And there are a lot more. Click here to read more on Goodreads. Have you seen people go through the most varied of emotions, extremes even? And not because something has or is happening with them but because they feel something which has happened to/with others. I am sure you must have. I have. I have seen myself go through them. Stories have such power that they can transport you to completely different and unknown worlds, show you places you would have never imagined or known of their existence, they can introduce you to the most extraordinary people, they can make you laugh and cry with those extraordinary people, they can make you believe in things and remember them forever, they can make you forget about things you thought you'd never, they can help you escape from the reality, they can make you take notice of the reality, they can make you fall in love with the most bizarre things, they can leave such a permanent stamp on your heart that it stays with your life and maybe even after. They can do a thousand more things which you can think of and which you cannot. Maybe that's why they are nothing short of Magic. I completely agree with you on the last para. I think people are naturally inclined towards wanting to hear stories, and books, movies, and sometimes even songs are a source of stories. And those who are ignorant or uninterested in any of them are surely missing out on more than they can imagine. I too feel very sorry for them. This was indeed an interesting and thought provoking post. I think if the book had to do something with making you come and write this posts then I am sure to include it in my to-read list. Couldn't agree more, Story opens door for imagination!!!! Everybody has a story to tell. Every moment has a story of its own. Even a drop of water contains a brittle piece of a story which it never ceases to tell. There are stories that remain untold, that affect lives, that make revelations. What remains important are the readers, listeners and viewers and how they interpret and realize the profoundness and feel of the same. Those who ignore the experiences, imaginations and realizations amazingly captures in these compositions, comfortably ignore the beautiful presence of magic in lives and continue to live in mundane practicality. Sometimes, it is necessary to leave the present and fly away through the door of imagination, only to discover something new, something calm and something not really visible but is always there. A story does that. Be it any medium, we must respect each and every composition and the effort of imagination that goes behind that. Reading this post, getting to know you, talking to you, is also a part of a lifelong story. I'm glad someone is there to remind all of us of that. Firstly, I super love the new banner on your blog! Totally suits it. And yes.. Stories are an integral part of our lives. They open doors to a new universe which we've dreamed of. I'm in love with my blog all over again! It's new, but it still feels so comfortable and so "me"! I guess it's the soul that matters and not appearances. Stories are something I fell in love with when I was 5 and since then I keep falling for them every moment. For me every story is a lesson learnt in some way, a window opened towards a new place with endless possibilities. You know how insane I get every time I put a book down... except some, you also know that I find it impossible to put a book down without finishing it:) Stories are magical, they transport you to this surreal world of dreams, imagination, infinite possibilities and the best part is, you get to escape reality. Exactly. I suppose if not books and stories we have collected over the years, then where do we get our learning and philosophies from? Other sources are certainly not enough. It's Raining Awards # 1!